Living in the technology age has changed a lot of things. It seems parenting hasn’t been left behind either as more parents nowadays strive to be “cool parents”. Although well-intentioned, the cool permissive style of parenting, largely praised on social media, does more harm than good. For starters, cool parents want to be their children’s friends first. They find it easier to be pals with their kids than being tough and responsible. They also have a hard time saying no or setting limits since they don’t want to disappoint their teens or deal with any conflict. Additionally, they want their children to like them and want their kids’ friends’ approval- earning them “cool parent” tag. Most parents who behave like this, do so thinking that befriending their teens will facilitate open communication and stimulate honest conversation. The idea is that their teens will see them as one of their pals and confide in them. Unfortunately, despite their good intentions, this parenting style often doesn’t produce the desired results. 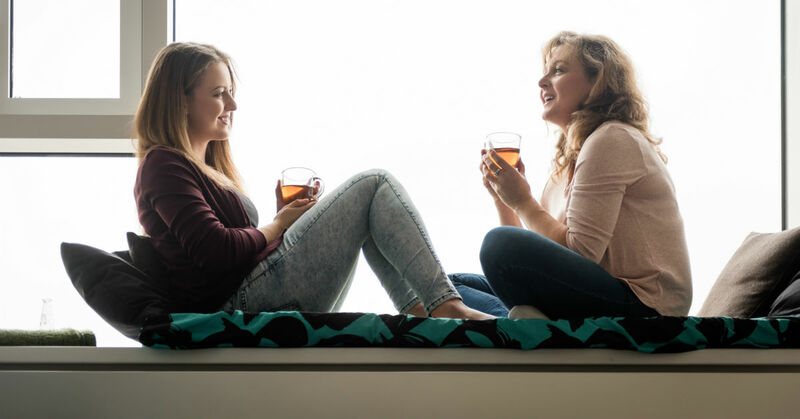 While no one can tell you how to raise your children, if your teen starts experimenting with alcohol and drugs or engages in behavior that puts them and others at risk, it might be time to take a hard look at where being cool has gotten you. Are complicit in your teen’s substance abuse by buying or giving then drugs or alcohol. Some parents excuse this by saying their kids would get the drugs anyway. Allow your teen to drink or use drugs under certain conditions such as when they’re at home or if you’ve taken their car keys. Use drugs or alcohol with your teen- under the guise of keeping them safe. Host underage parties where anything goes- believing that this way you can keep an eye on them. Turn a blind eye to troubling signs of drug and alcohol abuse or other deviant behavior in your teen because you don’t want to look uncool. Allow your teen to come and go as they please, without informing you of their whereabouts. Don’t discipline your child and have little rules to speak of in your house because you think this will curtail their freedom. Shy away from giving your teen any chores or responsibilities or you pay them to do chores around the house. You might think there’s nothing wrong with experimenting with drugs during the teen years but consider this- teens’ brains are still developing. Specifically, their pre-frontal cortex (the part of the brain responsible for responsible thinking and impulse control) doesn’t fully mature until they are around 25 years old. This, plus the hormones coursing through their system, explains why teens are prone to taking unnecessary risks without considering the consequences. It also explains why drugs seem very attractive during adolescence. Unfortunately, teens’ still-developing brains and bodies are highly susceptible to the negative effects of drugs, increasing their vulnerability to addiction. So you are putting their health and future well-being at risk by encouraging them to experiment with drugs and alcohol. Furthermore, you could get into trouble with the law, for doing so. Instead of lax, “anything goes” parenting, teens need structure, rules, boundaries, limits and support. They need parents to be authority figures who teach, guide and protect them. Teens also need reasonable expectations such as chores and curfews placed in order to teach them responsibility. They also need to be told no from time to time so they don’t become spoiled and entitled brats who think the world owes them. Additionally, teens thrive where there is structure and routine because these give them a sense of safety and security. As a parent, you should set down reasonable rules as well as consequences for failing to adhere to them. Should your teen break those rules, administer discipline so that they can learn that actions come with consequences. The opposite of permissive “cool parenting” is to become a responsible parent. This means stepping up and accepting your role as an authority in your teen’s life. Instead of striving for your child’s approval and liking, you should aim for their respect. Being aware of what your child is doing wherever they are- be it at school, with their friends and even on social media. However, this doesn’t mean stalking them. A few well-placed questions and cultivating an environment of open communication will do. Taking a stance and setting clear, reasonable rules, limits, boundaries and consequences and making sure your teen is aware of them. This goes a long way towards cultivating self-discipline in your child and it also lets them know what is expected of them. Paying attention to your teen’s behavior and knowing the warning signs of drug and alcohol abuse to look out for. It also helps to know teens’ cultural lingo around substance abuse as well as watching what they post on social media. Getting your teen the help and support they need as soon as you notice signs of deviant behavior or substance abuse. Catching such problems early enough makes them easier to tackle. Knowing who your teen’s friends are and who they usually hang out with both online and in real life. Studies show that teens are likely to start using drugs if they interact with other substance users. Having a candid talk with your teen about the dangers of alcohol and substance abuse. You might not think that they’ll pay attention but research shows that teens whose parents strongly disapprove of substance abuse were less likely to use them. So don’t underestimate your influence over your teen’s behavior. Always remember that your job as a parent isn’t to be your teen’s friend. Your job is to guide, nurture and keep them safe. To talk to them candidly about real issues with the intention of equipping them with the skills to make the smartest and safest choices and to become responsible, self-reliant, independent adults. Be your child’s best parent, not their best friend!